As we enter the middle of August, it's time to face reality that the summer is pretty much over here in the UK. And while I am happy to see the approach of autumn and its styles, palettes and textures. there remains a dying ember of summer colour which will carry you through to the autumn season. I was browsing the newly refurbished Pull & Bear, Victoria Square, and some key pieces from their new season collections inspired this post. 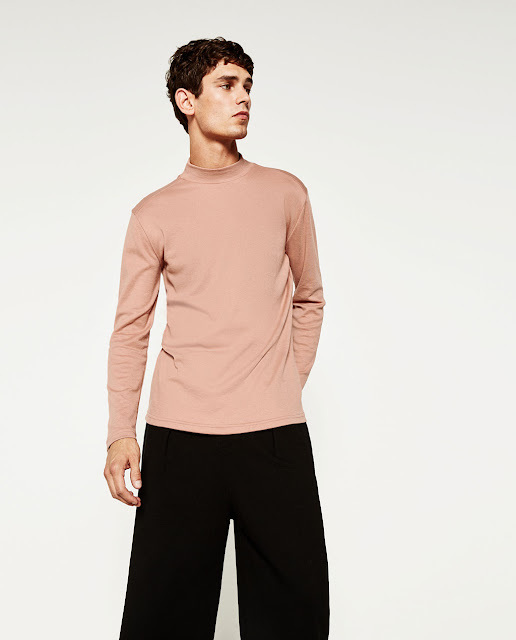 Blush, dusky and soft pinks are no longer confined to baby grows, lingerie or makeup, in fact, they are versatile and flattering colours, working well with many common pieces in a man's wardrobe. 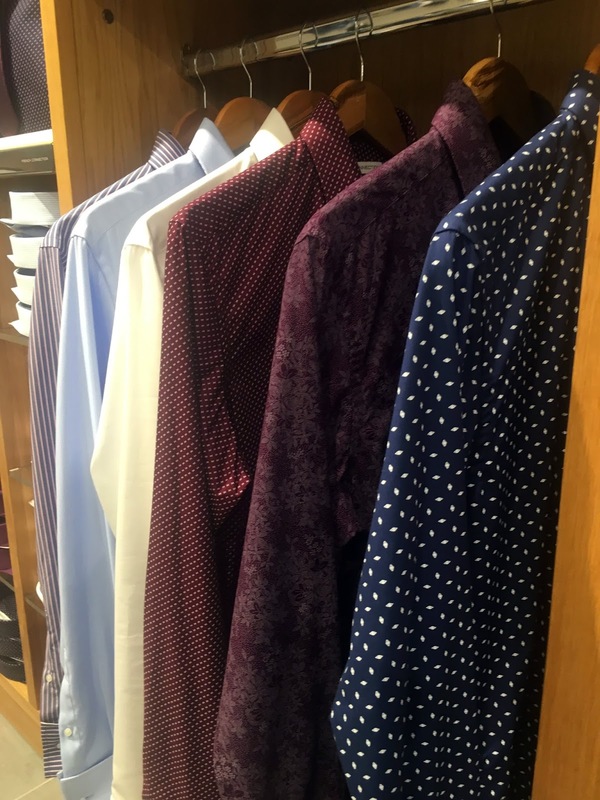 The key to tapping this trend is to keep the rest of your look fairly minimal, both in pattern and colour. Stick to usual neutrals of grey or taupe. Denim should be dark and without embellishment. 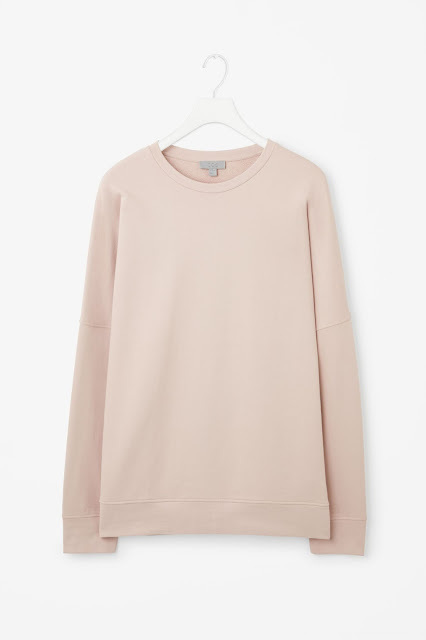 To really work the look, use the colour in pieces not usually associated with shades of pink. 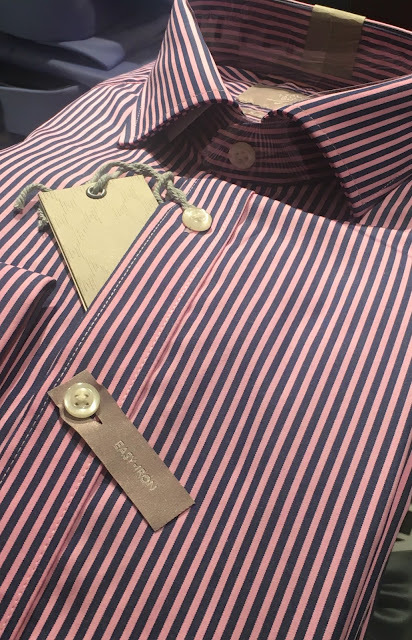 A pink formal shirt is not that unusual, but a masculine silhouette of a bomber jacket in a pink tone is unexpected and fresh. 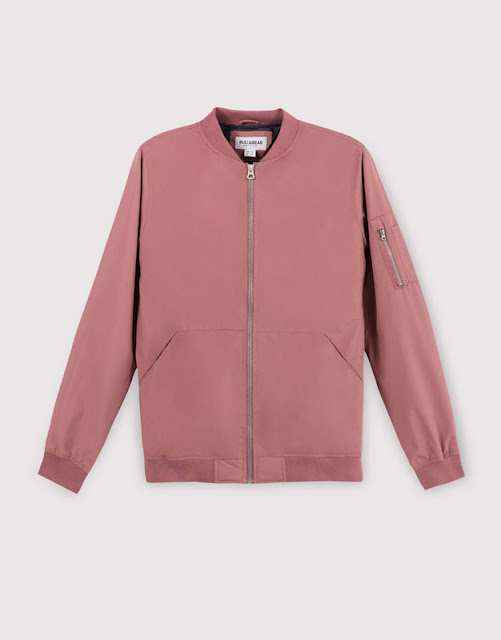 I've pulled a few of my favourite high street style below in a mix of clothing and accessories; each piece will add some subtle colour and revamped edge to your seasonal wardrobe. 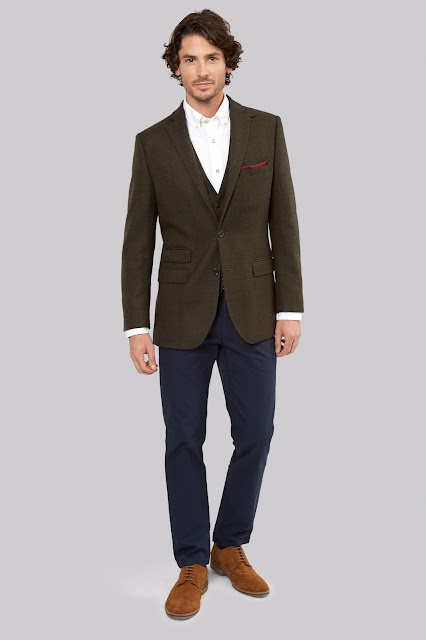 Not quite a roll neck, this mix of casual and formal will refresh your dress-down Fridays. If you are not willing to fully indulge in the trend, adding this soft pink belt to a pair of chinos is a subtle nod. 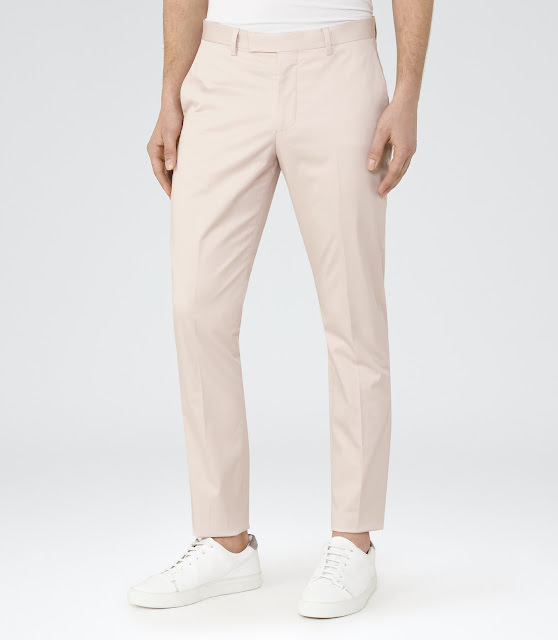 Playing with exaggerated proportions is what Cos are renowned for. This relaxed sweatshirt is smart streetwear at its best. If you are brave enough, this pink denim jacket just screams cool. I've always tried to maintain the focus of Rogues+Brogues as one of experimentation and improvement in personal style. 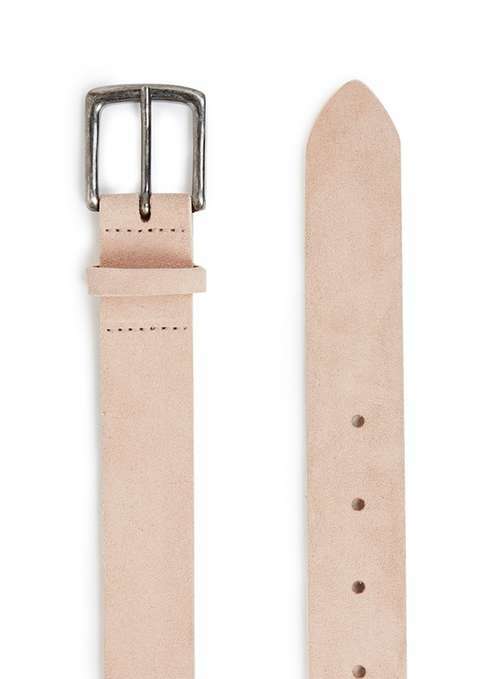 Trends are not always for everyone but being too cautious to try something new can lead to a style rut. 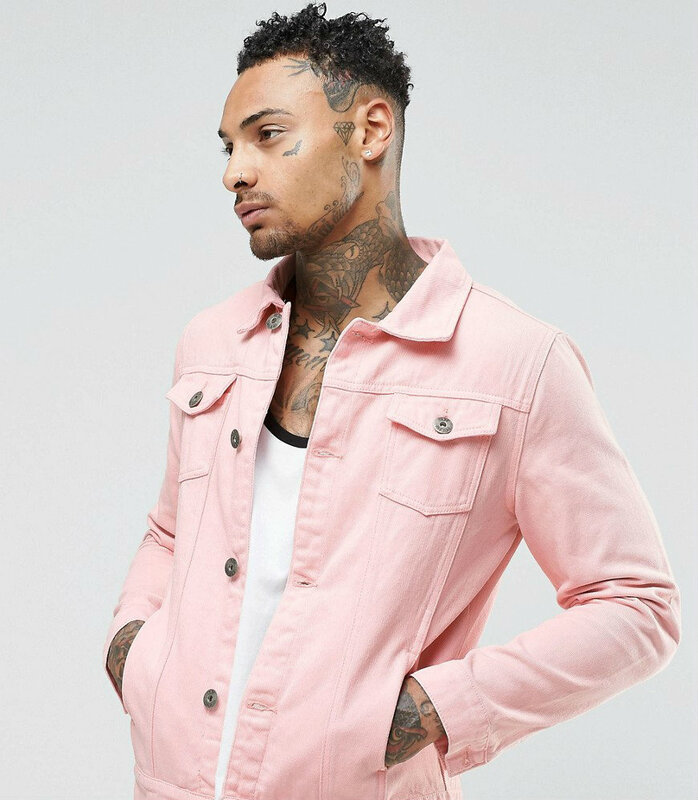 A simple addition of an unexpected colour, in this case pink, can add instantly make you feel fresh and change so many of your usual outfits. Don't be afraid to sink the pink this season! A new name has hit the high streets of Belfast and is bringing affordable stylish tailoring to the city. Moss Bros. is a well-known brand across most of the UK, but here in Northern Ireland, our only experience has been a outlet store at Junction One. The flagship shop recently opened on Castle Lane and last week I attended the official launch party. 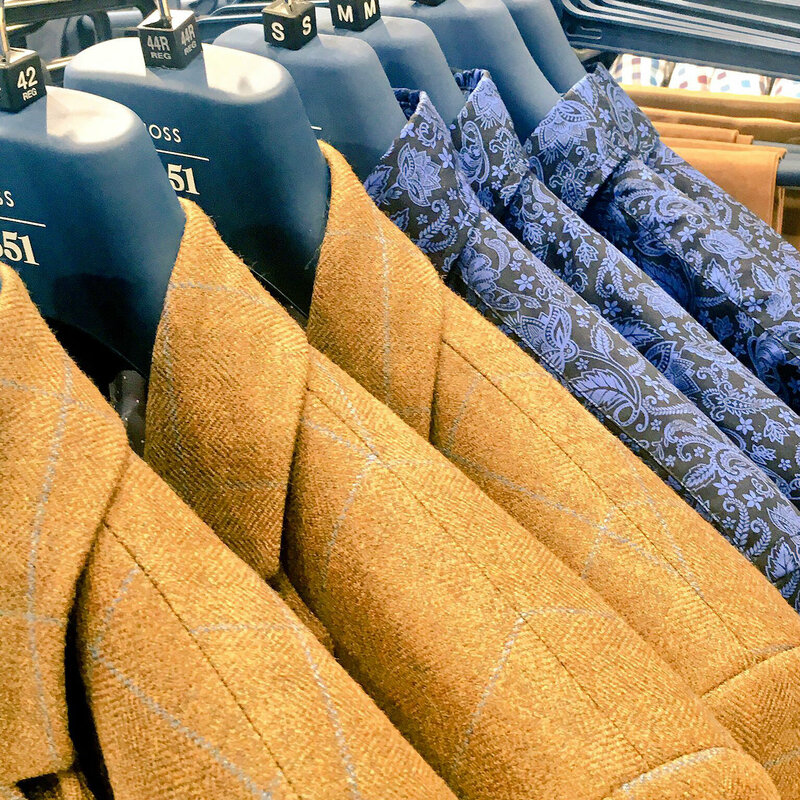 While Belfast has its share of high street stores offering tailoring, none really combine the product and service mix that Moss Bros. has to offer. What differentiates them from most retailers is their hire department. 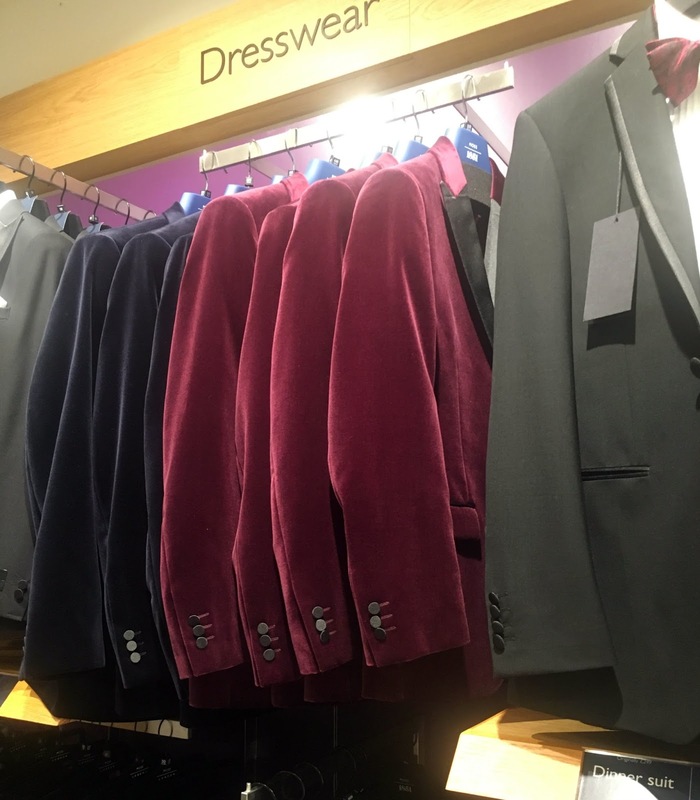 Again, suit hire is not an alien concept in Belfast, but most concentrate mainly on wedding suit hire, and at that, it's predominately morning suits. By offering mix of modern tailoring with dress wear for formal occasions available to hire, Moss Bros has created a niche that is welcome in Belfast. With both hire and retail markets, Moss Bros. are also expanding into made-to-measure with their Tailor Me service. 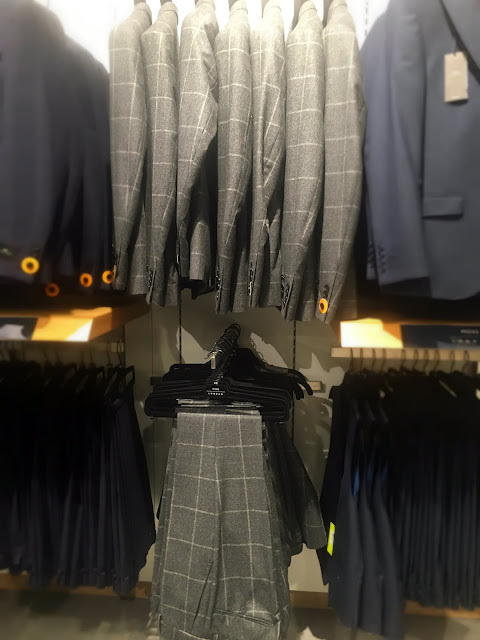 Customers can choose to have a suit created to their specifications from only £350, what you could expect to pay for a good off-the-rack suit. Suits rarely fit perfectly from the start so it's common practise for a little alteration here and there. 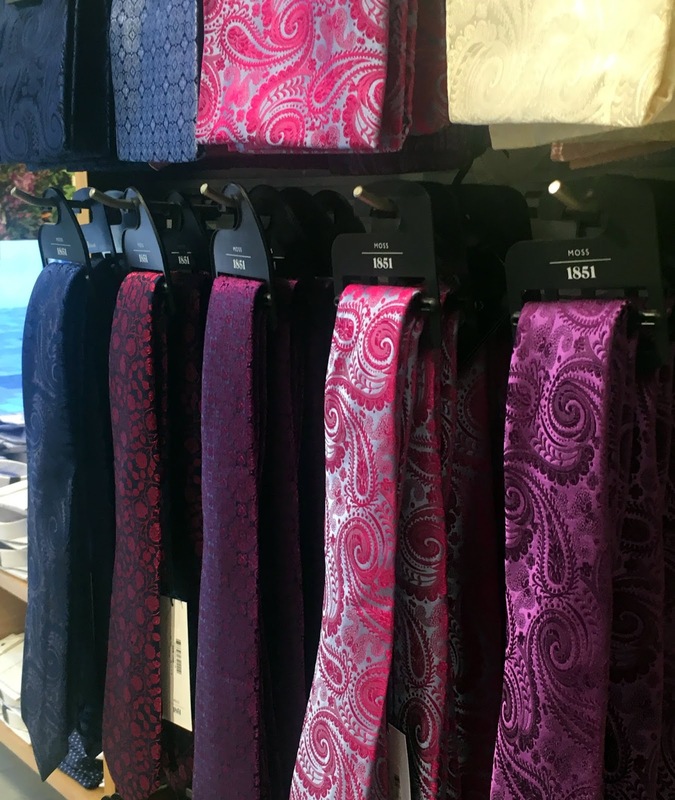 But this is not the same as made-to-measure where your measurements and choices will combine to create a suit made just for you. 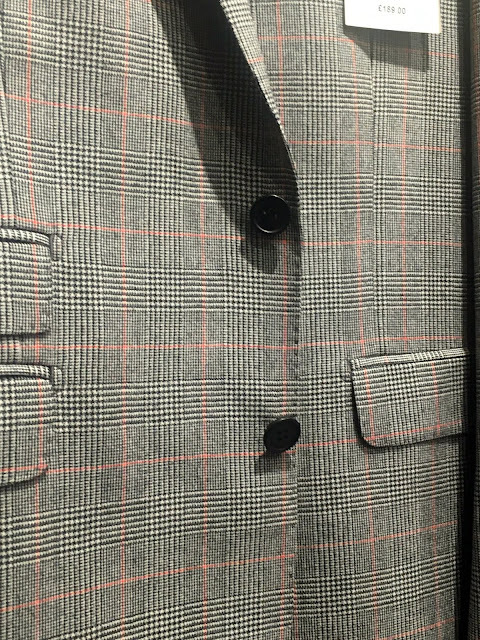 Look for the orange tags to indicate suits included in the Tailor Me offer. Nothing on the floor taking your fancy? 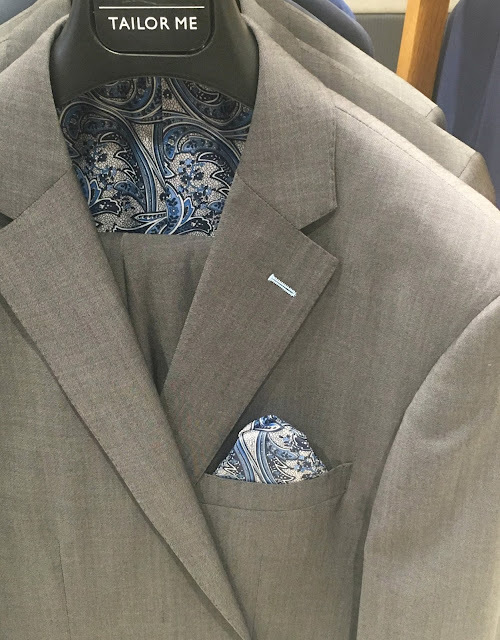 The Moss Bros. Tailor Me service offers over 90 cloths to be combined to your liking. 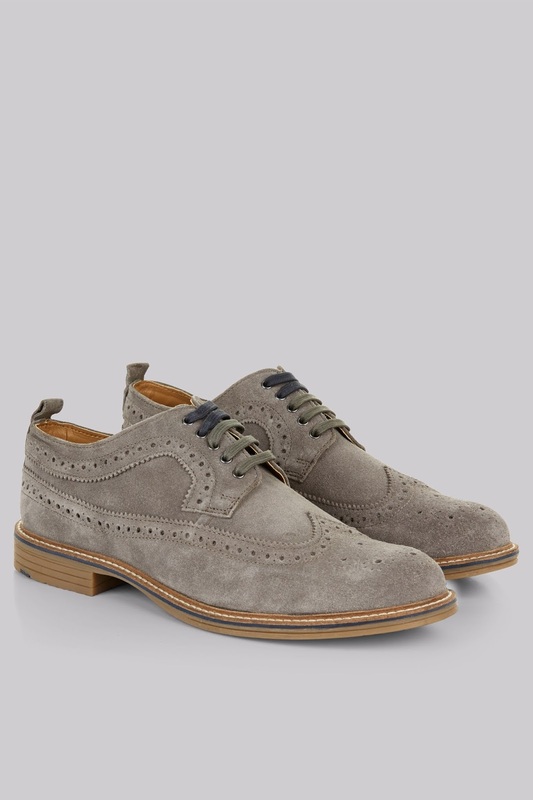 Clothes maketh the man, but accessories maketh the man interesting. Moss Bros. have branched into casual wear. I say casual casually as there is still a distinct formal and put-together aesthetic to the collection with tweed, smart denim and shirting creating the back bone of the range. 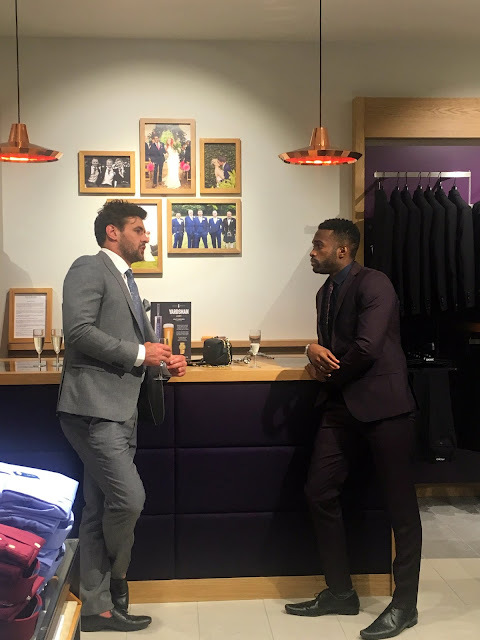 Current and former Mr N. Ireland were on site to show us mere mortals how to wear a suit. A wool blazer is a solid investment for autumn/winter and by opting for a colour other than the usual navy, grey or black, you add instant interest. 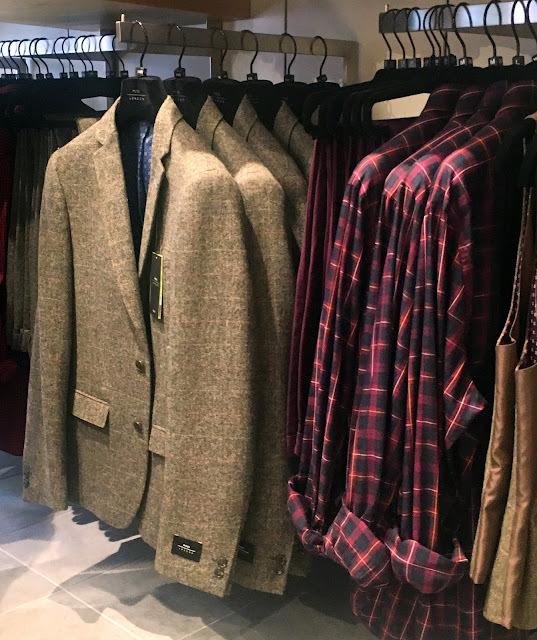 The burgundy window-pane check pattern compliments the olive green colour and will co-ordinate with jeans or chinos for the coming season. 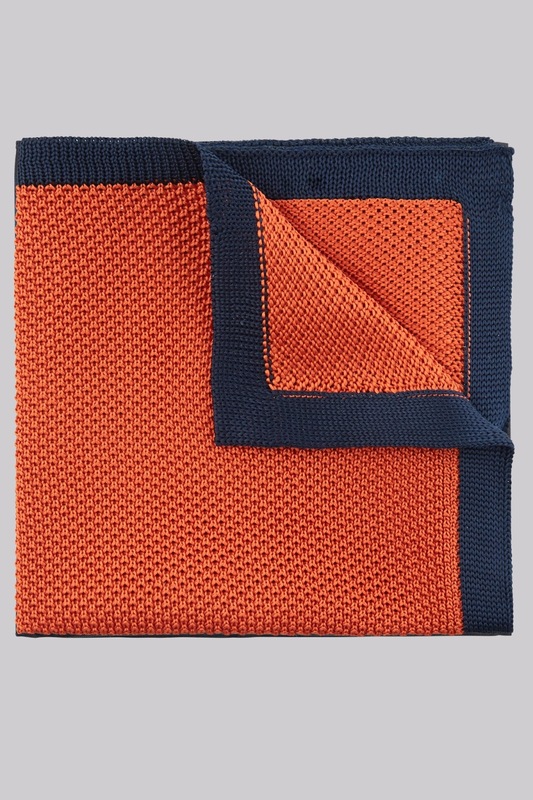 As I said above, accessories make the man more interesting and a carefully considered addition such as this rich, burnt orange pocket square will make a real statement. I love the knitted texture in contrast to the usual satin or cotton. 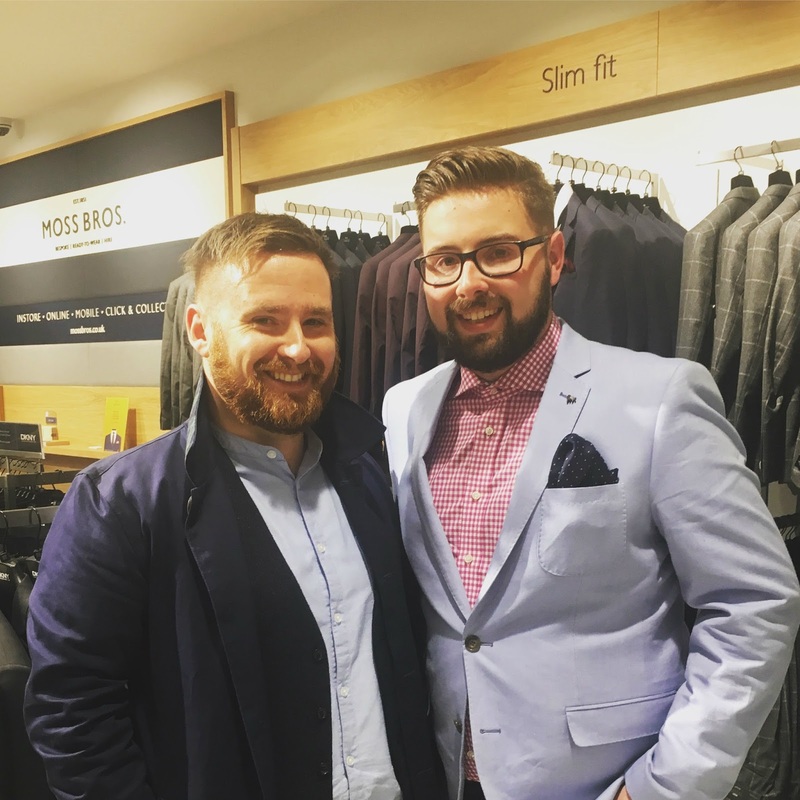 The event also gave me an opportunity to meet fellow menswear blogger David Cashman of Dapper Dave Cash. We male bloggers are a rare breed and Irish ones are rarer still! David kindly guest posted on my blog last September and it was great to finally meet up. A true style blogger and a gentleman. Thank to the team at Moss Bros. and the awesome Seb at Fabric PR for hosting the event and kindly inviting me along. 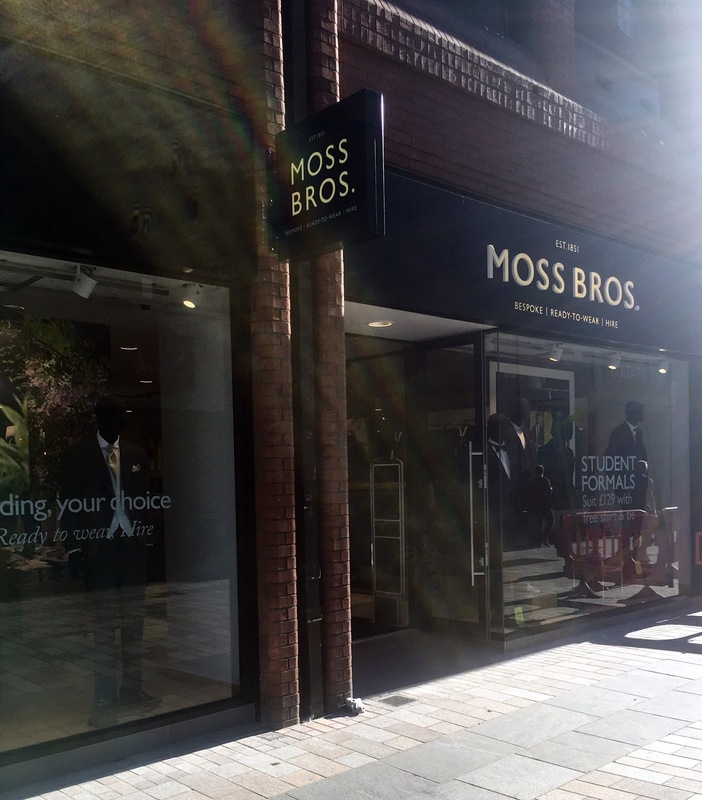 I'm looking forward to seeing Moss Bros continue to grow in Northern Ireland!